PHILADELPHIA, PA – November 12, 2018 – Janney Montgomery Scott LLC (“Janney”), a leading full-service wealth management, financial services, and investment banking firm headquartered in Philadelphia, PA, welcomed Daniel Mickley, First Vice President/Wealth Management, to the firm’s Columbus Grandview, Ohio branch office. 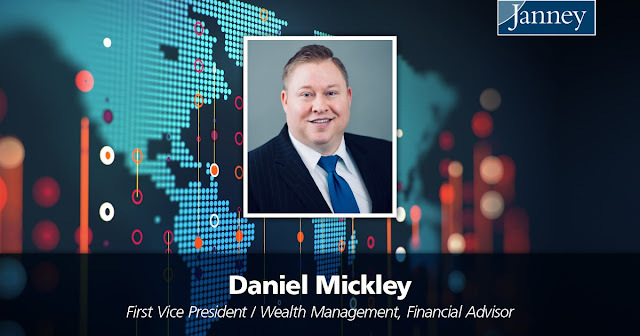 Mr. Mickley joins Janney from J.P. Morgan Securities with over 15 years of experience in the financial services industry. He currently resides in Galena with his wife and two daughters. Janney opened its Columbus location in January 2018 and relocated in August to a new office space in the Grandview Heights area. With the addition of Mr. Mickley, Janney has added three Financial Advisors and two Private Client Associates to the office this year. Janney’s Columbus Grandview office is located on 1070 Yard Street, Suite 110, Columbus, OH 43212.